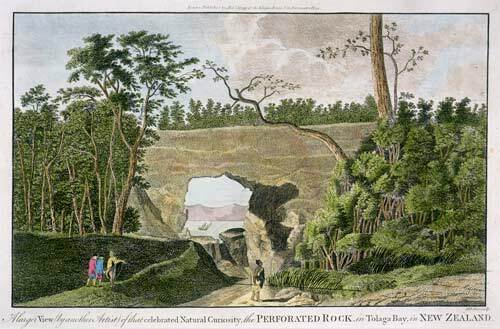 A drawing of an arched rock at Tolaga Bay was made by Herman Dietrich Spöring, a naturalist on James Cook’s first voyage to the Pacific, in October 1769. This engraving was made in 1784. Spöring died at Batavia (now Jakarta) on the return voyage to Europe, in January 1771.